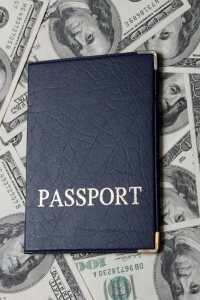 Everyone needs a Plan B: EB-5 Visa | The Law Offices of Yuri Tsyganov, P.L. Mikhail Khodorkovsky has beenpardoned by Vladimir Putin after a ten year prison sentence. The U.S. media has interpreted this recent development as a way for Putin to win favor with the international community ahead of the Sochi Winter Olympic Games. Although Khodorkovsky has promised not to get involved in Russian politics, he did mention that his return to Russia is imminent and that he will take part in attempts to release other political/economic prisoners. The fact that Khodorkovsky has been pardoned does not change the brutal reality of the Russian economic/political chess game. If you refuse to play ball by the rules, you may find yourself not playing at all and spending your days in a prison cell. One must have a plan B. A plan which ensures the safety for one’s family and capital. In the last two years I have worked with a number of Russian and EX-Soviet EB-5 Visa investors whose intuition and understanding of the state of things on the “ground level” at home has led them to seek U.S. residency abroad. I think that the number of new EB-5 investors from Russia and its neighboring countries will only increase in the coming year. 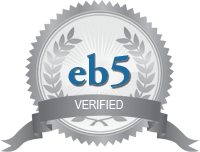 Russians are starting to realize that the EB-5 program is not a scam and that there are a number of EB-5 Regional Centers out there that have produced great results for Russian and Eastern European clients. It is extremely rewarding to see a Client receive their Green Card in the mail after going through the EB-5 application and adjustment of status process. The expressions on their faces say it all: Now we have a plan.